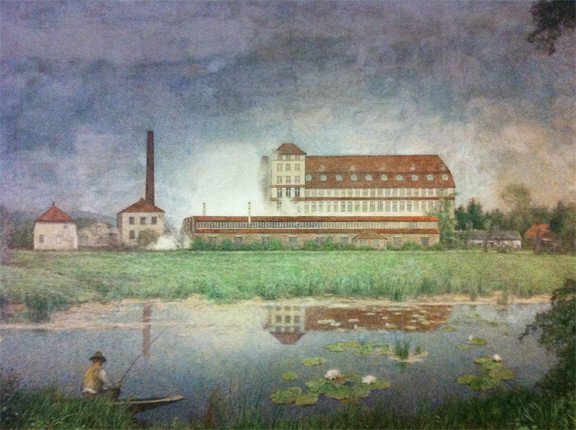 Felt is produced in buildings termed as "mills". Traditionally these mills were located in rural areas where the wool was easily attainable and in a location adjacent to a source of water. 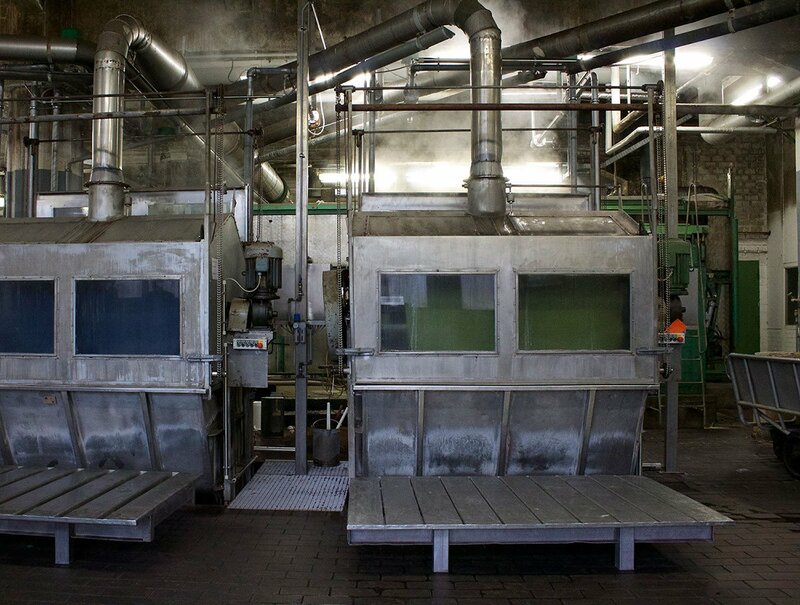 Producing wool felt is an extensive and specialized process and only a handful of wool felt mills exist today utilizing the same process (and many times, the machinery) that has been used for over a century. 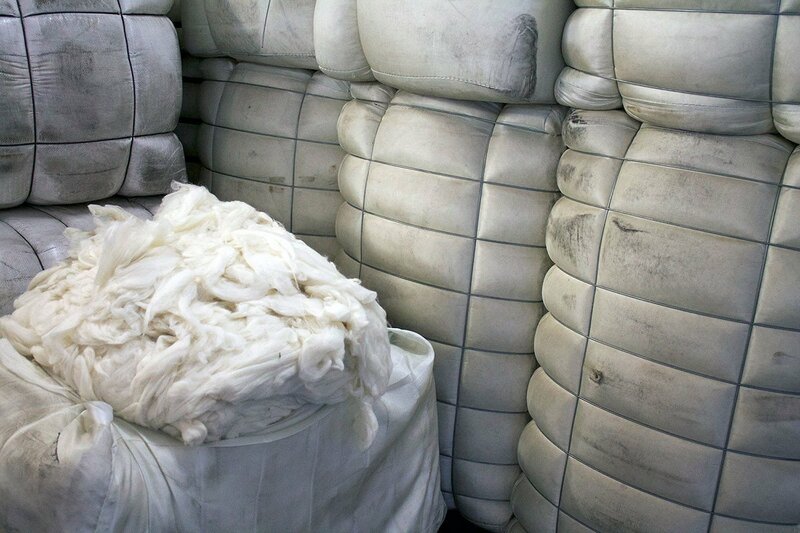 Wool colors are separated into white, grey, and brown wool bales. Since the sheep are free-roaming grazing animals, vegetable matter from plants and shrubs can get caught in the fleece as the sheep brushes against it. To remove this debris, the wool must be cleaned. By washing with water, some of this vegetable matter and lanolin is removed. However if a more regular color is required with white wool, it can be carbonized to whiten and remove more of this debris. The first step in the process of making felt is to mix, loosen, and separate the fibers from the clumps they form naturally. The willowing machine combs the wool pulling the fibers apart and beginning to align them. Carding is the act of combing and untangling the wool. Feeders allow a specific weight of fibers to pass into the cylinder to form a standardized web and the fibers are combed (or carded) so that they are parallel to each other. 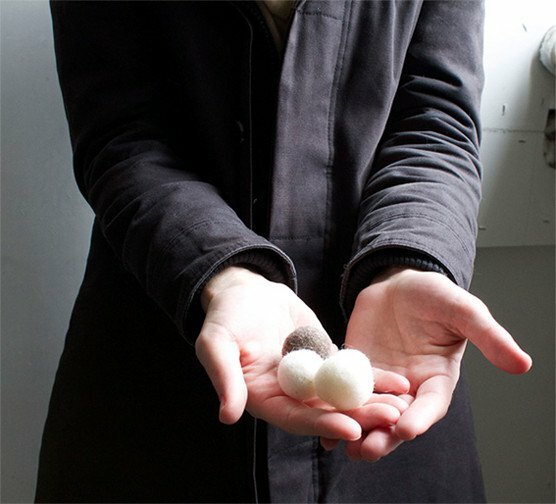 Several layers of this fluffy, even sheet of wool are combined (with the fibers alternating in direction) to create a batt. These batts are then rolled up and stored in preparation for felting. 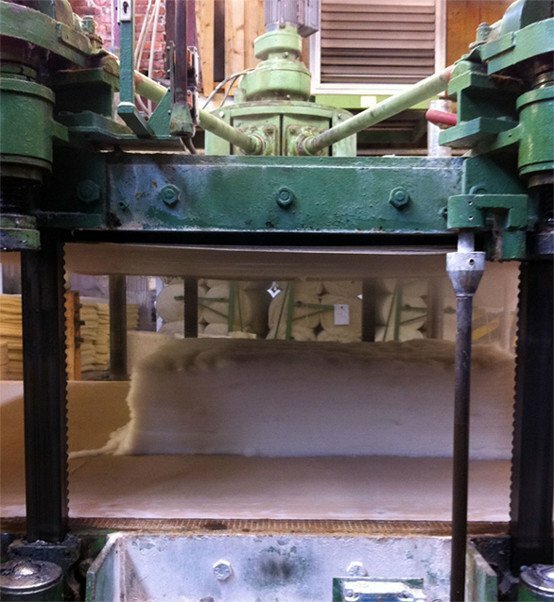 Multiple layers of batts are laid out on a steamy conveyor belt, adding moisture to the wool and preparing it for the felting process. 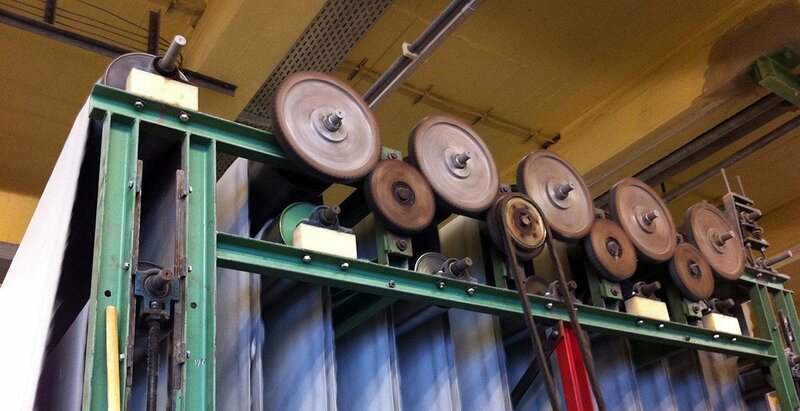 The sheet is then moved below a plate-hardener that lowers a large 2.5 ton plate onto the batts and oscillates, compressing and matting the material. As shown under a microscope, wool fibers have scales like a fish. The outer skeleton of each fiber is made up of the overlapping scales. When heat and moisture is introduced, the scales on the fibers raise and open up. The agitation then interlocks the fibers as the scales hook into one another to form a strong, resilient bond. Merino wool is typically the finest wool fiber and unlike synthetic fibers has scales that allow for natural felting. Natural felting is only possible with fibers with such scales. While the felt has bound together significantly, added density is needed to provide the durability needed. The batts are fed through upper and lower steel rollers that are covered by hard rubber molded with treads like a tire. The pressure, heat, moisture, and movement cause the batts to shrink in length, making it denser. The more the wool is manipulated and hammered, the tighter the fibers engage and lock together. 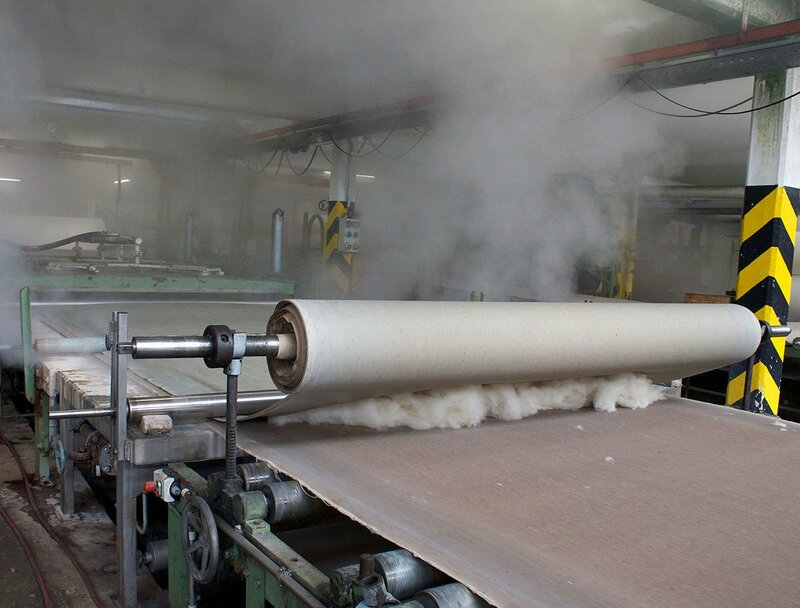 The felt can loose as much as 50% of its elasticity and some length during this part of the process. For example, a single piece of felt that is 31 meters (34 yards) long may come out of the fuller at 25 meters (27 yards) in length. 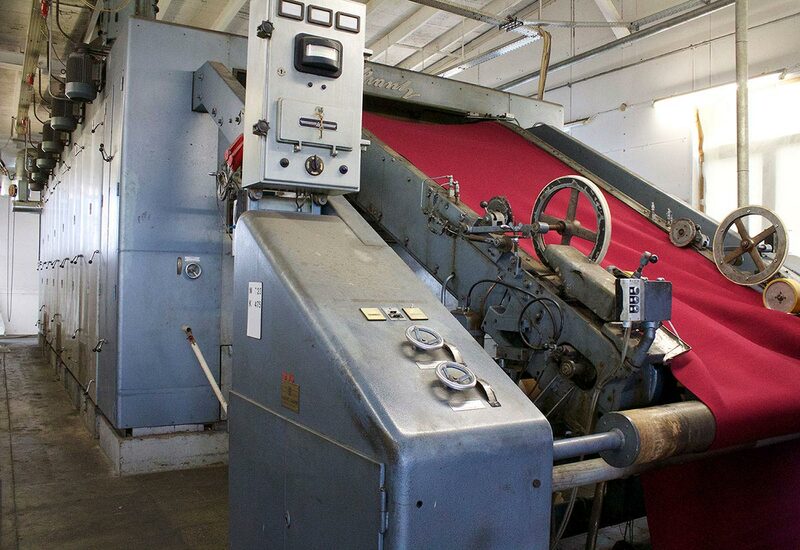 In preparation for dyeing, the felt is washed to remove any impurities and to assure uniform dye penetration. 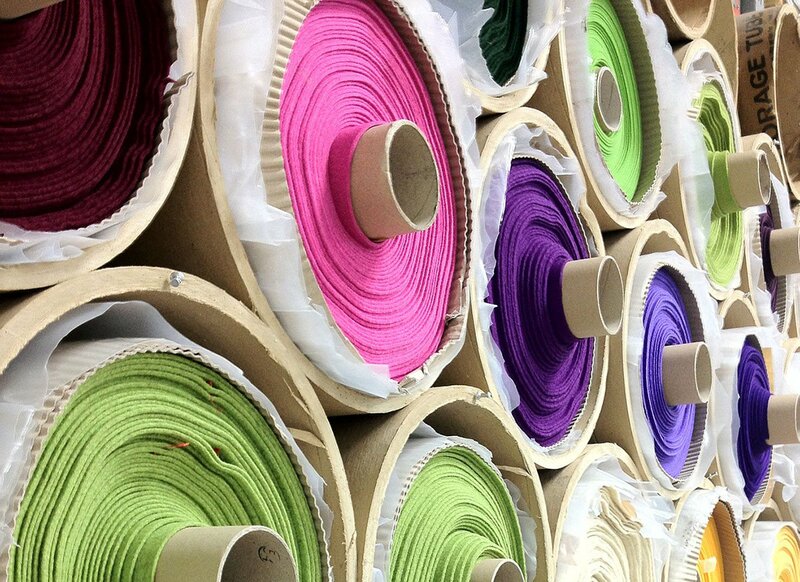 25 meter bolts are hand-sewn together to create one dye lot. Dye lot sizes vary based on thickness and weight and are typically 100 meters (109 yards) for 2mm, 75 meters (82 yards) for 3mm, and 50 meters (55 yards) for 5mm, 8mm, and 10mm. Plant-based textile dyes are introduced in a dye vat and heat is added to set the dyes. The process can take up to six hours and the color is matched to a control sample to ensure a suitable color has been achieved. 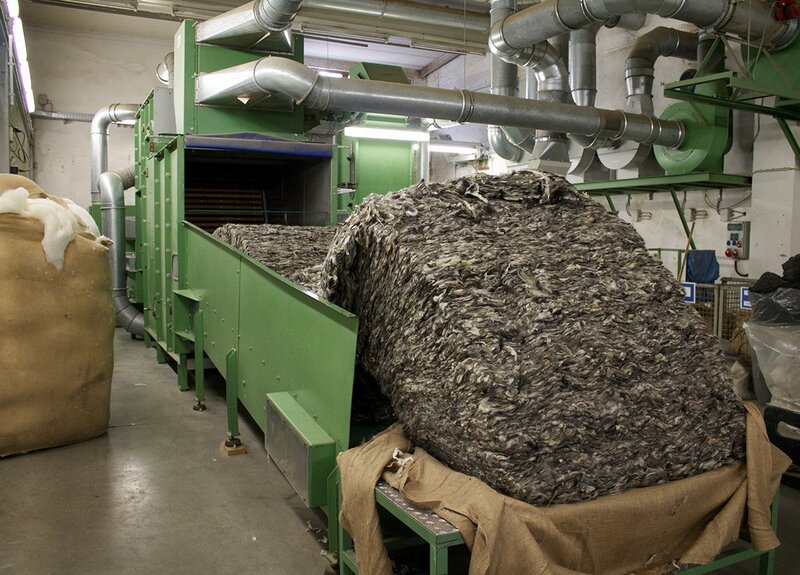 The felt is stretched across the drying bed and dried with heat to prepare for its final finishing. 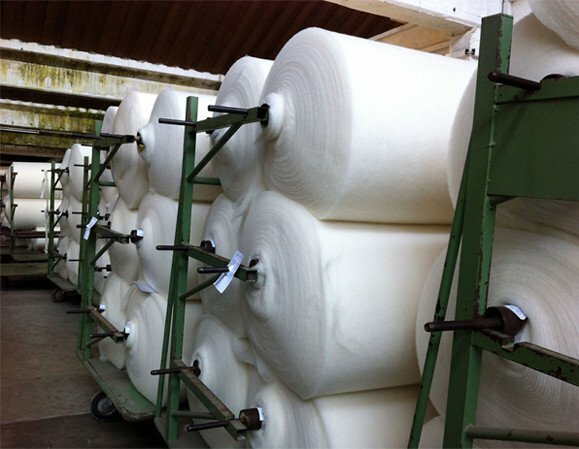 Since the felt is a nonwoven, loose or errant fibers can be left on the surface of the material. The felt is shaved on each side to remove these fibers and to create a smooth hand. 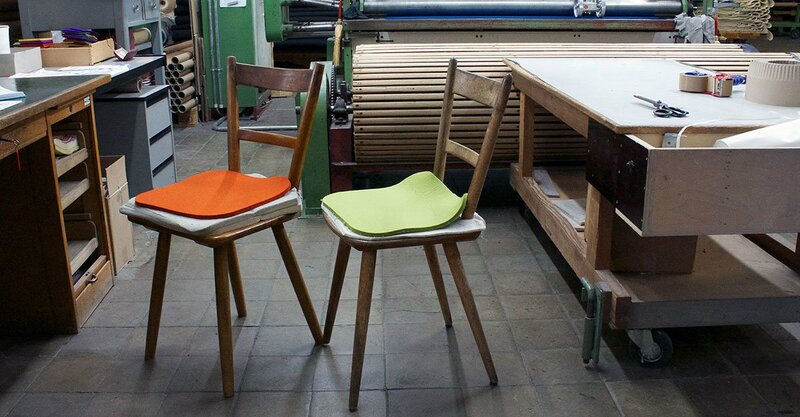 During the manufacturing process, the felt tends to be thicker in the middle and thinner at the edges. In order to provide a consistent thickness, the felt is pressed and measured to assure that the material meets the acceptable thickness tolerances. The felt is rolled up and ready to ship!